Samara S. Foster is the Assistant Director for the University of California Center for Collaborative Research for an Equitable California (CCREC). 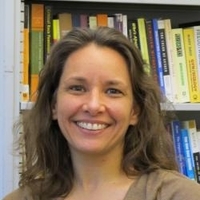 She holds a Ph.D. from the University of Colorado at Boulder in a joint program in the areas of Educational Foundations, Policy and Practice and Educational Research and Evaluation Methodology, specializing in educational policy/reform and philosophy of education with an emphasis on issues of educational equity and social justice. In addition, she holds graduate certificate program in Women’s and Gender Studies and has a particular interest in feminist theory and gender issues in education. E-mail Samara S. Foster at ssfoster@ucsc.edu.